The Bronx River is approximately 24 miles long. 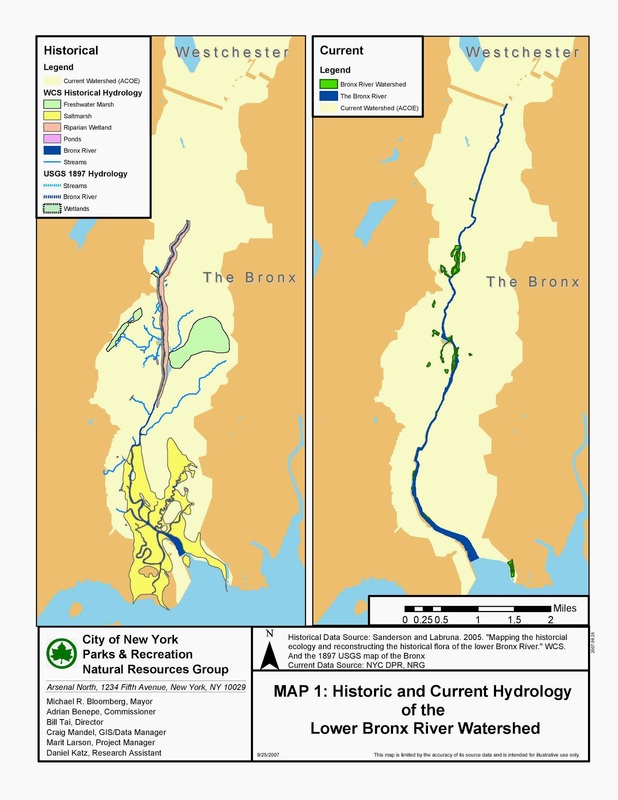 It flows from southern Westchester to the East River. It was named for colonial settler Jonas Bronck. 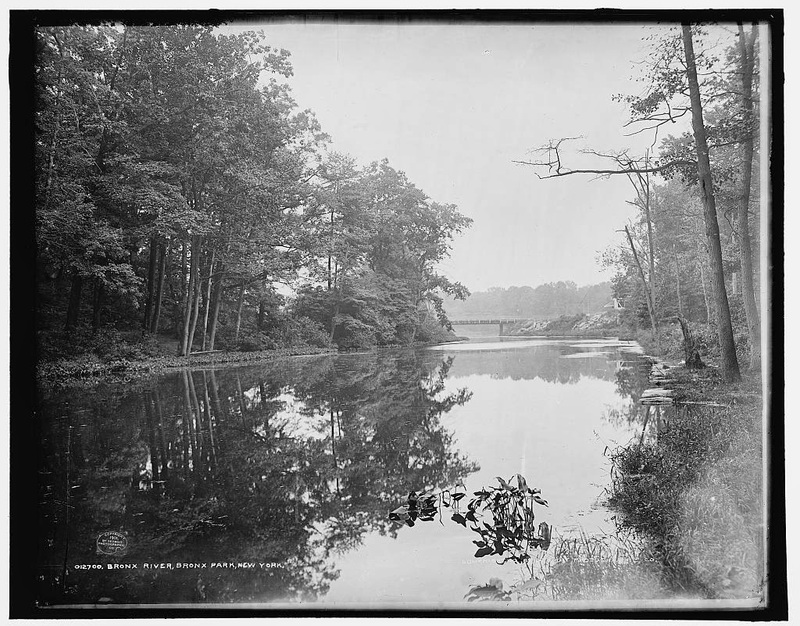 The Bronx River is the only fresh water river in New York City. 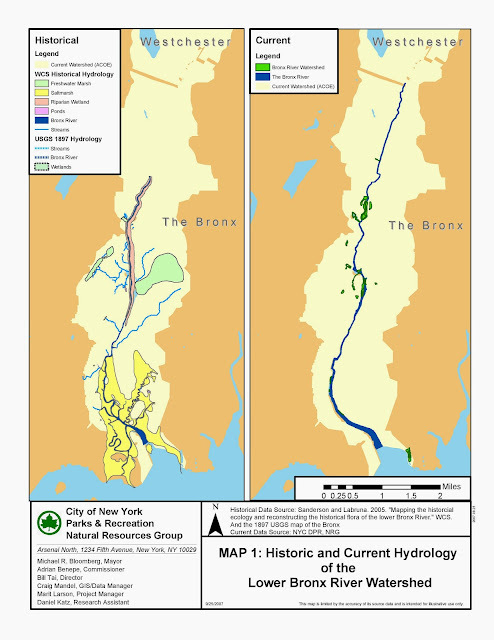 The Bronx River originally sourced from the area of the current Kensico Reservoir in Westchester. With the construction of the Kensico Dam, in 1885, the flow was limited to a small tributary stream as its source. It flows into the Bronx at Bronx Park and continues through the New York Botanical Garden, Bronx Zoo, and into the South Bronx. It empties into the East River, separating the Hunt's Point and Soundview neighborhoods. The river was called Aquehung or "River of High Bluffs" by the Mohegan Indian Tribe who lived and fished along it. 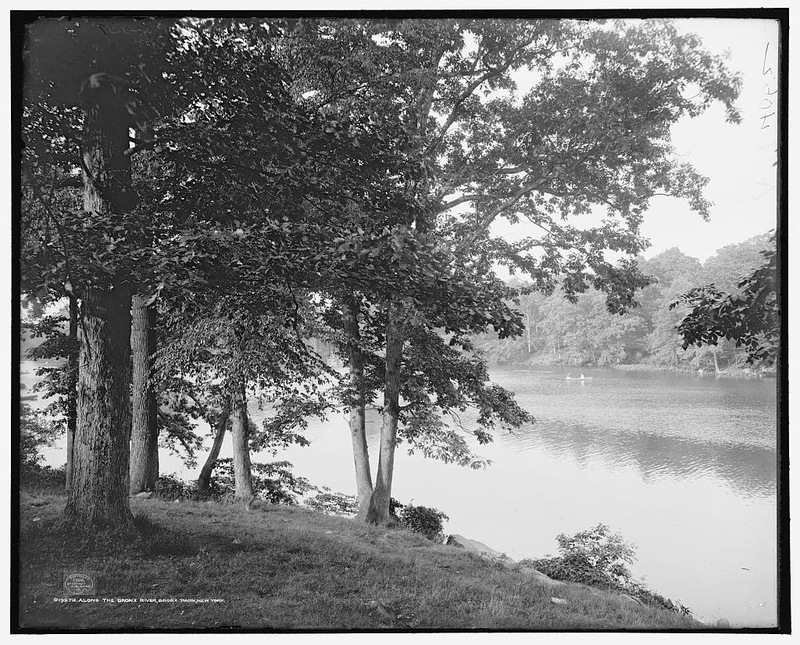 In 1639, a 500-acre tract between the Harlem River and the Bronx river was purchased by Jonas Bronck. 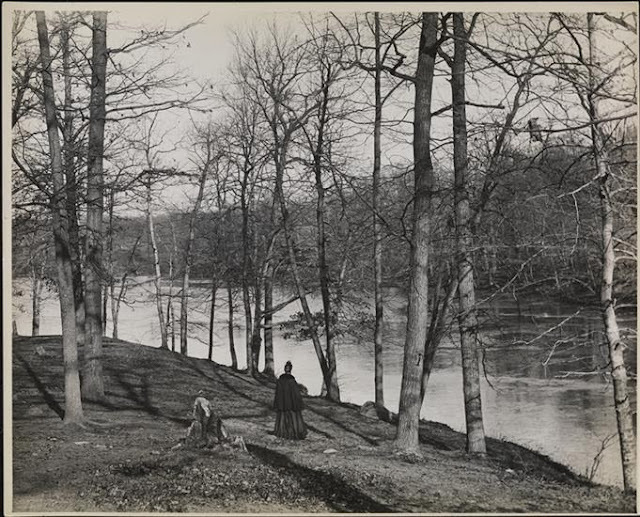 The river came to be known for the wealthy Swede as Bronck's River. 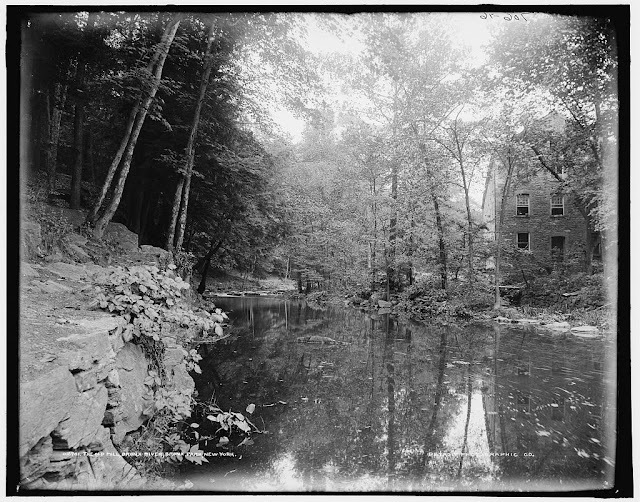 In the 1700s, manufacturing and milling grew along the river including the processing of paper, pottery, tapestries, and more. During the 19th and 20th centuries the river became a natural sewer. In 1888 the Bronx Park was formed, providing sanctuary on either side of the river. Additionally, as late as 2006 it was used as sewer overflow for some Westchester towns including Searsdale, White Plains, Mount Vernon, and Greenburgh. In 2007, a beaver was sighted in the river near the neighborhood of East Tremont, significant as the first sighting in the river in approximately 200 years.